Welcome to the desert oasis of Hour of Devastation, where the return of the God-Pharaoh is upon us! Four hours of observation shall take place hailing his return, followed by a fifth and very final hour. 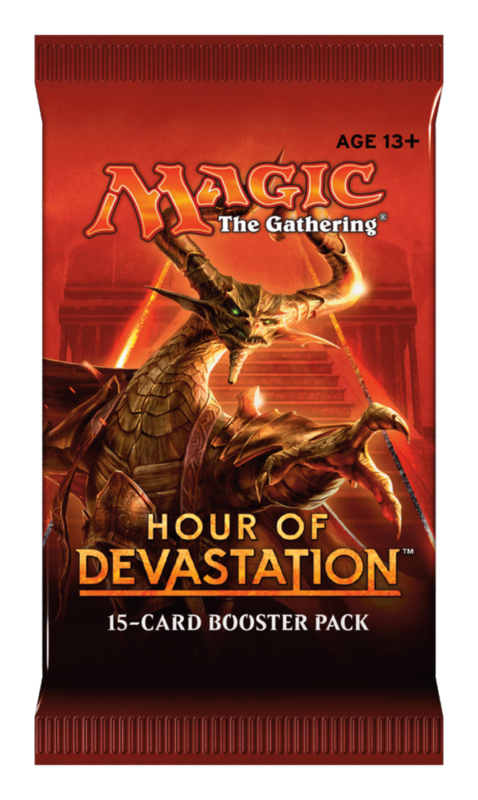 Booster pack of 15 cards.